1. 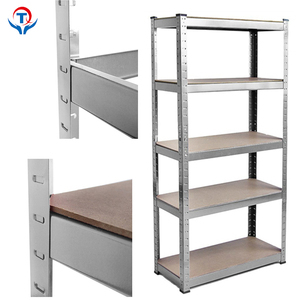 Name: NSF Chrome Chrome Wire Shelving System 2. Dimensions (L x W x H): 900&times;450&times;2000mm 900&times;600&times;2000mm 1200&times;450&times;2000mm 1200&times;600&times;2000mm 1500&times;450&times;2000mm 1500&times;600&times;2000mm 1800&times;450&times;2000mm 1800&times;600&times;2000mm 2000&times;450&times;2000mm 2000&times;600&times;2000mm 3. 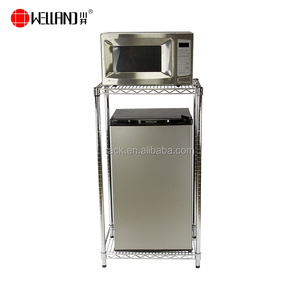 Material: carbon steel, stainless steel 4. Wire Diameter: 5.7/4.3/3.3, 5.0/4.0/3.0, or customized 5. Post Diameter: 25.4&times;1.2mm, 19*1.2mm 6. Wire Gap: 20mm, 25mm, 30mm 7. Load Capacity: 250kgs, up to 800lbs 8. Finish: chrome, epoxy coated( black, green) 9. Carton Size (L x W x H): 1235&times;485&times;170mm, etc. 10. Package: knock down package, one carton per set. 11. Delivery time: within 30 days after receiving deposit 12. Payment term: 30%T/T deposit, L/C 13. FOB Port: Shanghai Port 14. Certificate: NSF, ISO9001 15. Accessories: castors, S hook, leveling feet, post clamp, shelf divider, support bar, shelf 16. 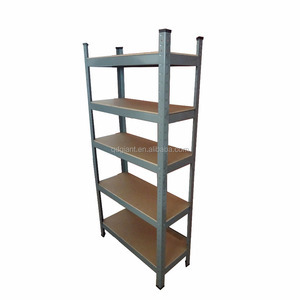 Other: OEM/ODM, Logo print is available upon request Product Details Keywords: Chrome Wire Shelving, Chrome Shelving, Storage Shelving, Wire Shelf, Wire Rack, Wire Cart, Wire Unit, Shelving Unit, Shelving Rack, Shelving Kit, SHelving Trolley, Shelving Cart, Shelving Bay, Basket Shelf, Shelf Truck, Basket Shelving, Storage Shelf, Shelving Truck, Shelf Trolley, Wire Utility Cart, etc. 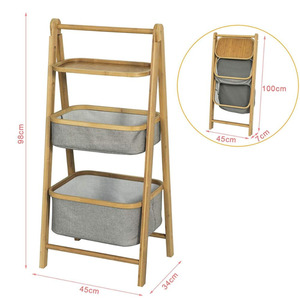 W:30.4kg Thickness:1.2mm Capacity:265kg Size: (L*W*H): 1600mm*600mm*1800mm Depth: 6.8mm board materail: MDF surface treatment:Powder coated N. W:39.6kg Thickness:1.2mm Capacity:350kg Size: (L*W*H): 900mm*450mm*1800mm Depth: 5mm board materail: MDF surface treatment: Powder coated N. W:18.7kg Thickness:0.9mm Capacity:265kg Size: (L*W*H):16 00mm*600mm*1800mm Depth: 5mm board materail: MDF surface treatment: Powder coated N.
Alibaba.com offers 112,618 storage shelving unit products. About 22% of these are storage holders & racks, 18% are stacking racks & shelves, and 3% are supermarket shelves. 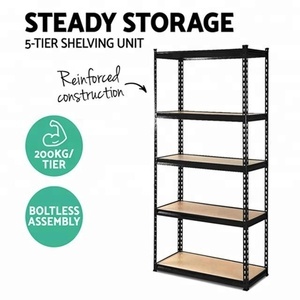 A wide variety of storage shelving unit options are available to you, such as warehouse rack, industrial, and supermarket. You can also choose from plastic, stainless steel, and steel. As well as from gs, ce, and rohs. 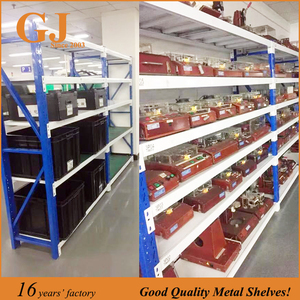 And whether storage shelving unit is corrosion protection, suitable for outdoors, or double-sided. 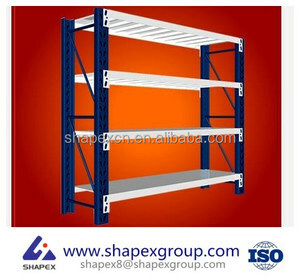 There are 112,618 storage shelving unit suppliers, mainly located in Asia. 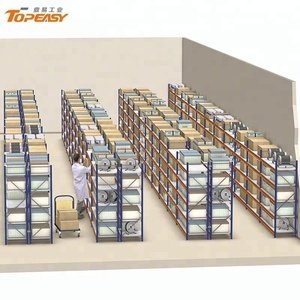 The top supplying country is China (Mainland), which supply 100% of storage shelving unit respectively. 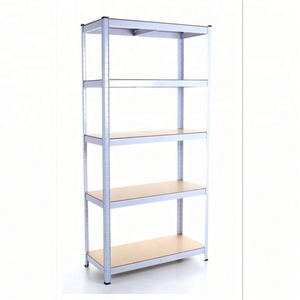 Storage shelving unit products are most popular in North America, Western Europe, and Domestic Market. You can ensure product safety by selecting from certified suppliers, including 30,358 with ISO9001, 12,940 with Other, and 11,166 with ISO14001 certification.